Fast becoming the first upgrade of the K series engine, the RBC manifold provides significant performance improvement over the stock PRB and PRC (Type S and Type R) intake manifolds. To complete the intake manifold conversion, you need to couple the throttle body to the manifold – an adapter directly bolts a 2002-2006 RSX-S/ITR or 2002-2005 Civic Si/CTR throttle body to an Accord Euro R, 2006-2008 Civic Si, or 2004-2005 TSX intake manifold. 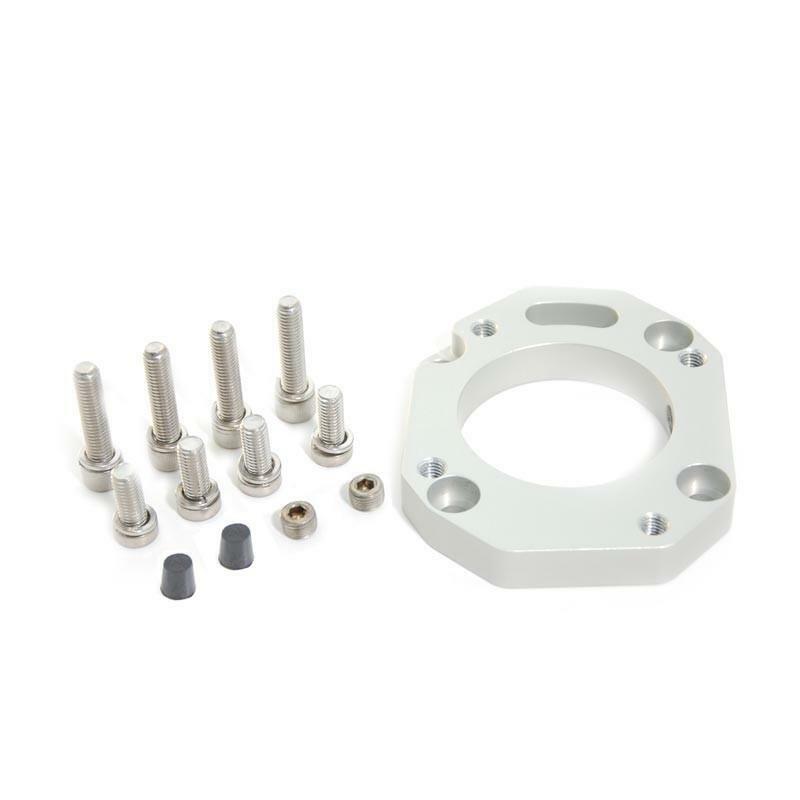 The adapter kit includes all mounting hardware required to attach the adapter to the intake manifold and the throttle body to the adapter. Two rubber plugs are included to fill the unused MAP sensor port, located on the RBC/RRB/RBB intake manifold, and the EVAP Purge Control Valve port, if needed to gain additional hood clearance. Finally, the adapter kit includes 2 1/8” NPT ports to eliminate the need for vacuum T-offs or an auxiliary vacuum spacer — 1/8” NPT plugs are included and pre-installed for those who may not have an immediate use, but desire a vacuum/boost option in the future.